My fifth wedding anniversary is in a month so our honeymoon has been on my mind. After getting married on Kauai, we spent almost a month in Europe. We had so much fun! Geared up with a small suitcase and a backpack each, my husband and I spent a week with friends in Ireland then traveled the rest of the time from the Amalfi Coast and all the way to Sicily. Traveling on trains, planes, boats and a scooter, we ate great food, saw beautiful small towns facing the bluest waters. We also spent some time on the Aeolian Islands above Sicily, saw an active volcano angrily spewing lava and had my first taste of the green, anise-flavored spirit, Absinthe. 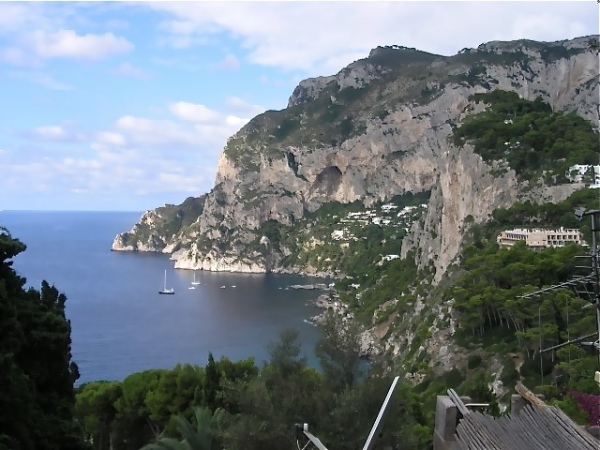 We visited the island of Capri, which is a just a short boat ride from Positano. While the tiny island is packed with day trippers by day, in the evening it is quiet, peaceful, beautiful. For even more nighttime solitude we stayed in Anacapri, away from the party scene in the main town. In just a couple of days we got a good feel for the island by taking the bus and walking all over! Much fun, indeed. One of the best pasta dishes I’ve ever enjoyed was from a tiny restaurant hidden in one of the many narrows streets on the island. I don’t even remember its name anymore. What I’ll never forget is the very hospitable proprietor who treated me and my husband like special guests. See, our hotel recommended a tourist trap of a restaurant on our first evening–very disappointing–so we set out on our own the following night. Much better idea. We’re not about fancy meals. What makes us happy is to taste what the locals eat. Simple food. When my husband lamented to the restaurant owner that he’d eaten too much rich food prior to arriving on Capri, the latter lit up like a little boy and said he knew just what to make for us. How special that he was willing the prepare our dish for us himself! When he came out, he had the pasta dish still in the skillet he cooked it in. He plated it right at our table then he waited to see our reaction. First of all, what he made wasn’t fancy by any means. It was a simple plate of pasta with some herbs and fresh cherry tomatoes. But what it lacked in Michelin-quality presentation it made up for in flavor. The tomatoes were sweet, the herbs fresh and the olive oil fruity. Simple to the core but packed with the goodness of Capri’s bounty. The lovely restaurant owner generously shared the recipe with me after I shamelessly asked him for it: Just sauté in olive oil some garlic, fresh tomatoes, basil and oregano. That’s it. He stressed to me that I must use very fresh ingredients and I didn’t understand the truth to his important suggestion until after I tried to make this dish the first time. Fresh tomatoes are key. Really. I’ll even say that it wouldn’t be worth making this without very good tomatoes. Believe me, I tried and failed miserably to recapture my first experience until I started growing my own tomatoes. Luckily, my parents left me with a lot of tomatoes this past weekend. My father is now obsessed with growing them. He downsized this year and planted only about 30 plants. Yes, you read correctly. I’ve also been growing my own herbs and this dish was a no-brainer for tonight’s dinner. It’s not an exact replica of the dish on Capri but it’s a variation I also enjoy. 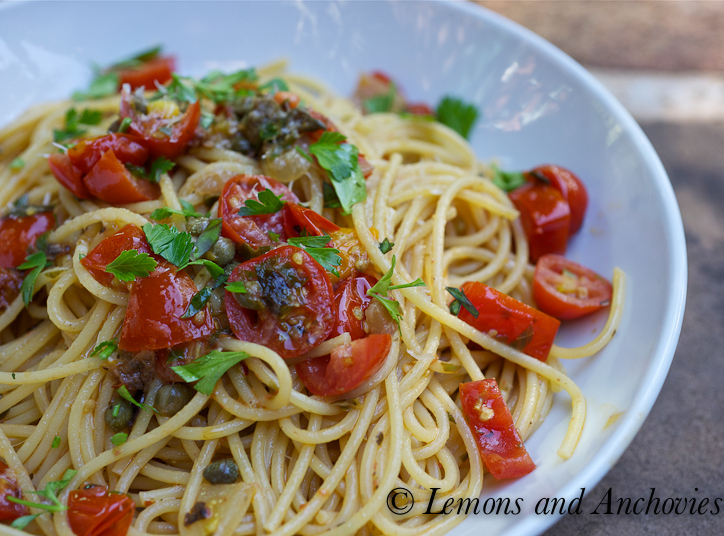 This dish is just a little bolder with the addition of anchovies, capers, olives and red chili flakes. It maintains the simple character of the original dish, though. Feel free to add only the components you like–I happen to think that each one adds something unique to this dish. By the way, I’ll be submitting this dish to this week’s Presto Pasta Nights which was started by Ruth of Once Upon a Feast. This week’s round up will be hosted by Pam of Sidewalk Shoes. Check them out. The ingredients list looks long but this is still very easy. Feel free to include all or omit some of the ingredients. The measurements are approximations as I just threw in what I wanted to add. Begin by heating a few tablespoons of olive oil and the butter in sauté pan large enough to hold the pasta. On medium heat, add the anchovy fillets and chili flakes then the onions. Allow to cook until the anchovies dissolve. Next, add the olives (or tapenade) and the capers. Mash the capers a bit with the back of a wooden spoon to extract more of their flavor. Add the garlic and cook for a bit without allowing the to brown. You can also add the chopped oregano and basil at this point. Add the fresh tomatoes and allow to cook until they soften and the skin starts to separate from the skin. If the sauce looks a little dry, add 1/4 cup of pasta water. Feel free to add more olive oil to make the sauce richer–I did. If you think it needs salt, add a little. This dish is completely flexible. When your pasta is cooked to al dente, add it to the sauce. Don’t drain it too much–you want the extra liquid to become part of the sauce. Sprinkle a little cheese and lemon juice, if desired. Plate and enjoy. 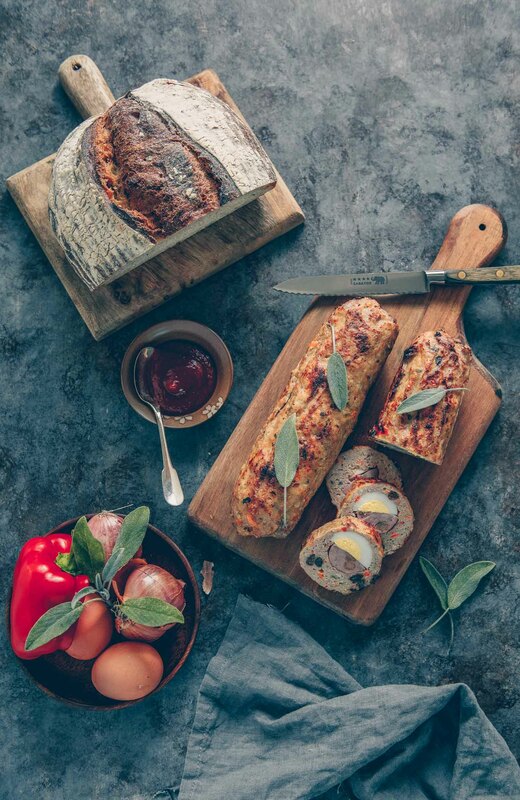 What lovely memories…I think that the best dishes often contain the fewest ingredients….and I can only imagine how great this would taste with your dad’s home grown produce. The pictures of your trip were stunning! Thanks, Monet! This is one of my favorite ways to use tomatoes. An old friend of mine just returned from a sun soaked vacation in Capri. What a beautiful part of the world! And this pasta is just my kind of meal. Simple. Wholesome. Fresh. Gorgeous! Beautiful photos! Jean you are becoming a wonderful storyteller and great photographer, not to mention the obvious an impressive cook! I love capri. I would love to go!! Everybody says it’s one of the greatest places. 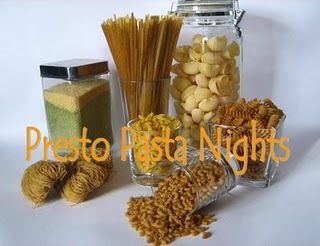 And this pasta dish is so simple and yummy!! Perfect for the summer days! Beautiful dish! I love the simple goodness of it. Frank, I think it’s exactly what you said, hotel employees and restaurants have arrangements. We’ve learned not to do this over time although sometimes it works out quite well. The views look breathtaking! The pasta dish looks so fresh and healthy. I can see why using good ingredients would be of the utmost importance. That looks great. I love recipes that really highlight the ingredients. Beautiful plate of spaghetti with great memories to go along with a glass of red wine, this makes me want to pack a bag and head over to Capri, thanks Jean! 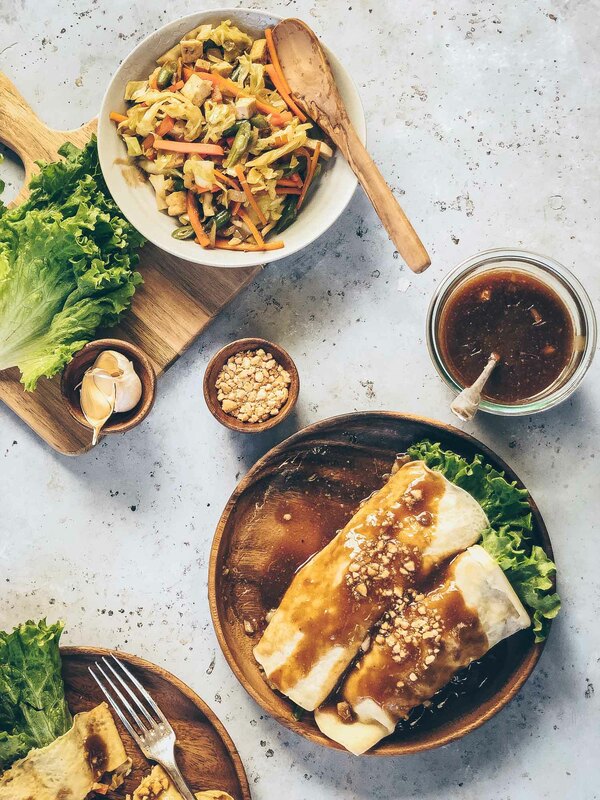 What beautiful memories and gorgeous photos – I prefer eating the local cuisine vs. seeking out Michelin star restaurants, too. We plant tomatoes every year – and our neighbors love us because we always end up giving tons away (and we have never had 30 plants!). There is absolutely no store-bought tomato that can compare. Thanks, Mary! I’ve been a frequent visitor of yours so your comment means a lot. Thanks! Such beauty, the earth and her bounty. I bet that tasted awesome. Great memories, thanks for sharing them. Capri is one of the most beautiful places I’ve ever visited and your pasta is just as beautiful. Love it! My husband and I LOVE Kauai. We went there for a friend’s wedding. Thanks for sharing this special dish from Capri. It looks so fresh and simple. Among all your beautiful pictures, I notice that we have the same black NorthFace pullover. LOL. Am I right, is it NorthFace? I’ve travelled with mine all over the world and I’ve had it for years. It’s so versatile! Judy, it is North Face and I’ve traveled everywhere with it, too! In fact, save for a few items, I always pack the same stuff. I agree Kauai is great! Lovely photos! Capri is the place for romance :o) – and yes a simple pasta dish can be heavenly when you have fresh ingredients. You are making me hungry right now :o) and quite nostalgic. What a lovely trip down memory lane! I love the dish as well – a great reminder of a wonderful holiday. When I travel as well, I try to steer clear of hotel recommendations – many times they are tourist traps – the hidden gems are the ones we rarely hear of. Awesome pictures–I just got back from a vacation and now I want to go to Capri right away! The pasta looks great, too. I like your adapations–sort of a hybrid puttanesca. And red pepper flakes make everything better! Yum. Your photos look beautiful, and you dish looks delicious! Delicious and could easily bring me back to Capri! Lovely photos! And happy anniversary, in advance!! And that plate of spaghetti is so pretty and looks very tasty! And he’s right — it’s all about fresh ingredients!! Looking forward to the Absinthe story! Fresh tomatoes always make the dish. The others are a waste of chewing…. What a wonderful honeymoon you had! We had a similar experience in Venice – from the expensive tourist trap to the local, crowded, everyone at the same table kind of place. When the hubs ordered the waiter actually told him ‘no, I’ll bring you something better’ And he did! Happy Anniversary! I, too, love very simple pasta. I actually love spaghetti with just Parmesan, but that doesn’t go over too well with the family. 🙂 Oh, by the way, have you seen the film “It Started in Naples”? Sophia Loren, Clark Gable, it starts in Naples but is set in Capri. Also stars the most amazing little boy actor with whom you will fall in love. 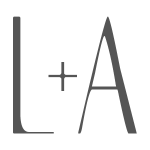 It’s pure magic – check it out if you haven’t already seen it! 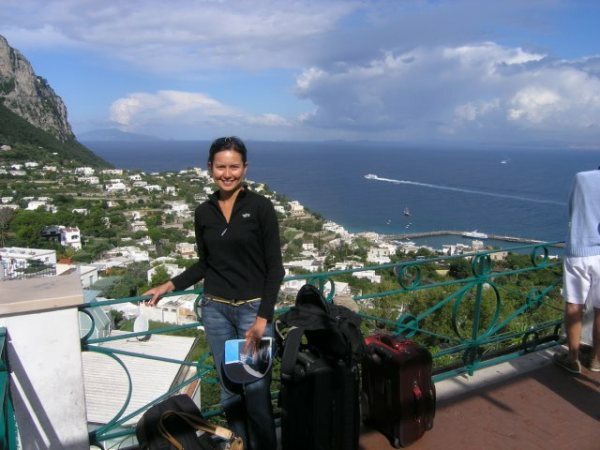 Your post brought back wonderful memories of Capri and Positano for me ! The hubby and myself went there on our last before baby vacation 🙂 Your dish is simplicity at its best and as you said the best ingredients are vital ! Beautiful pictures! 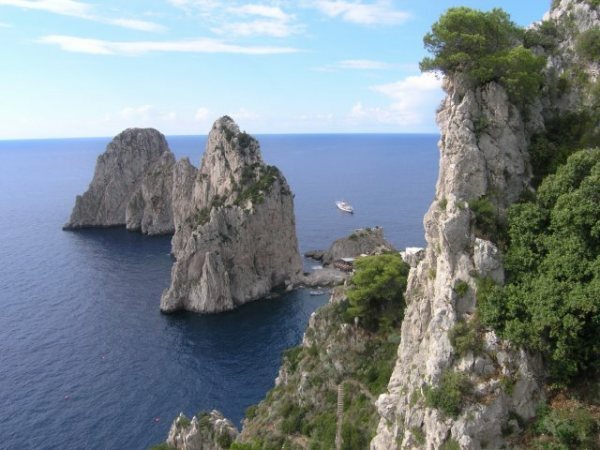 Capri is high on our “wish we were there” list… I enjoyed your post. And the spaghetti looks fantastic! Lovely dish instead of a quarter of a cup of water I use white wine , cheap italian like soave. great! hey. 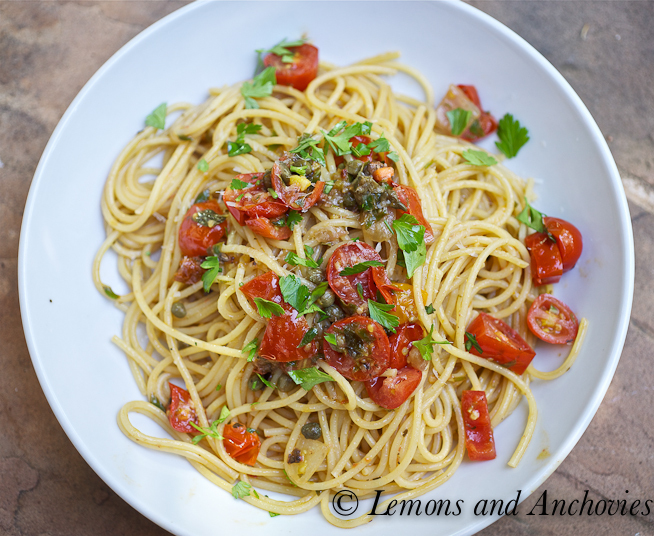 nice entry- i was looking for a recipe for spaghetti with fresh anchovies and tomatoes because my partner and i have just got back from a holiday in rome. we were served this simple and delicious dish in a tiny place that we walked into randomly in campo dei fiori. it was great..
looks like it was very similar to yours with fresh halved cherry tomatoes and lots of herbs. it also had chunks of fresh anchovies which had been seared with some onions first i think..
anyway, im going to use your recipe as a base and put in some fresh anchovies! 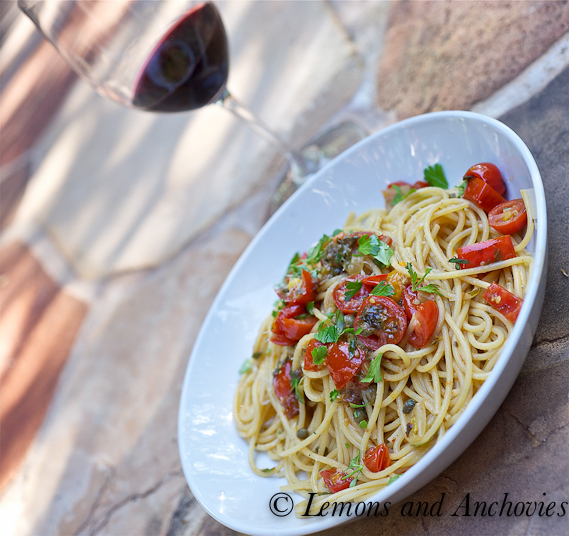 Love your Capri photos, and that plate of spaghetti is on my “last meal” wish list. 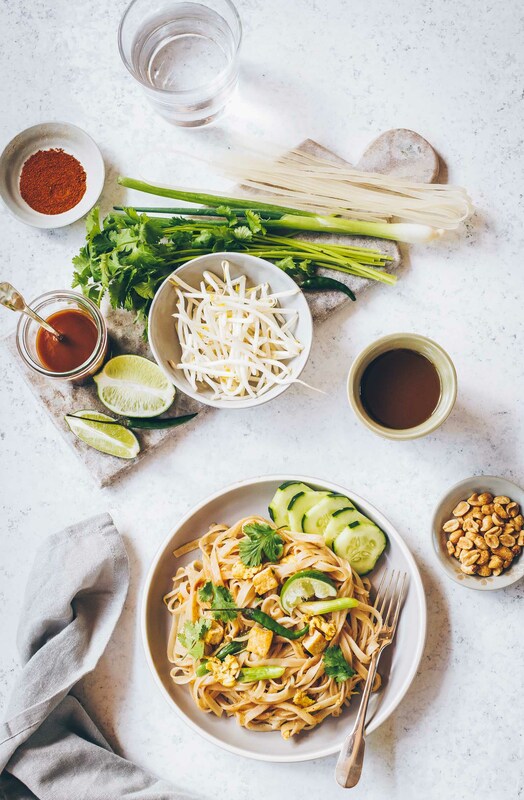 I discovered your blog when I first came across this recipe!